The era when doctors handed out vital prescriptions on scribbled slips of paper is finally coming to an end. 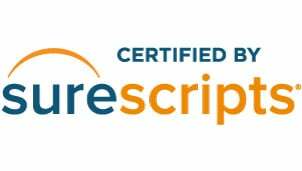 The entire healthcare industry has recognized the vast safety improvements and time-saving measures offered by electronic prescriptions. The federal government declares that “e-Prescribing is more convenient, cheaper, and safer for doctors, pharmacies, and patients.” Here are seven key ways in which this long-overdue technological upgrade is improving health care across the nation. 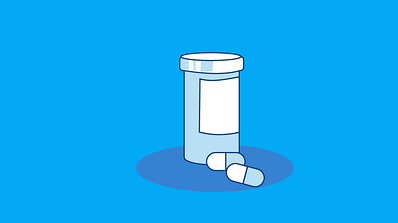 When multiple providers treat an individual patient, e-prescribing is the only reliable way to keep the person’s medication record up to date. Without eRx, clinicians have to rely on a patient’s own report of the medications they are taking (or are supposed to be taking). Electronic prescriptions, by contrast, are automatically entered into the patient’s EHR (electronic health record). With eRx, physicians receive instant alerts, informing them of any drug allergies that the patient may have. They are also automatically informed of potentially hazardous drug interactions. This alert system provides physical safety to patients and legal security to busy providers, who may not have all pharmaceutical incompatibilities in the front of their minds. Electronic prescriptions allow physicians to track if and when patients actually receive their medication. One frequent reason that patients don’t fill prescriptions is that a particular drug is not included in their health insurer’s formulary. E-Rx prevents these formulary errors by letting providers know at the time of prescribing exactly which brand-name medications are covered under each patient’s policy. People experiencing stress and health problems aren’t always good at keeping track of small slips of paper. Too often, a provider hands several pieces of paper to a patient and one of them goes missing in the car, pocket or backpack. Electronic transmission eliminates this very simple (but very common) disruption of health care. E-prescribing saves time for everyone in the process. Patients no longer have to hand a slip of paper to the pharmacist and then wait around for their number to be called. Pharmacists no longer have to try to reach busy physicians to ask them to decode an illegible scribble. Physicians can refill electronic prescriptions in a matter of seconds, without having to get on the phone with either the pharmacy or the patient. Jared Nesbit has been with PCIS GOLD since 2014. Starting out working in sales, Jared, covered the northern portion of the United States. In 2018, Jared moved to the role of PCIS GOLD Marketing Manager, where he now works on maintaining the PCIS GOLD website and blog while creating content and designing all PCIS GOLD's marketing campaigns.